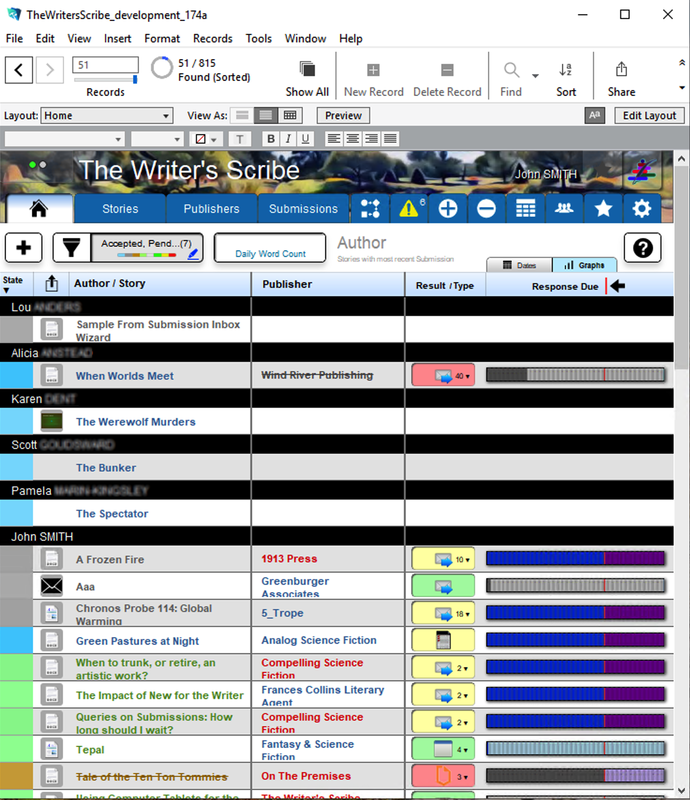 For an Author, it tracks your submissions to publishers and generates alerts to keep you up to date. For an Agency or Publisher, it provides a streamlined workflow to handle a large volume of submissions. Avoid issues with simultaneous or multiple submissions with a simple 3-step process, allowing the application to suggest eligible publishers. The interface is user-friendly and the software takes just minutes to install for a test drive. ✦ Do you need to track multiple submissions out to multiple publishers? ✦ Do you need to process an impossible number of submissions daily to find the right one for your publication, while handling all submissions and responses in a professional manner? Version 7.4 is now available, you want this update. See the Learn More page for a full listing of what's new.